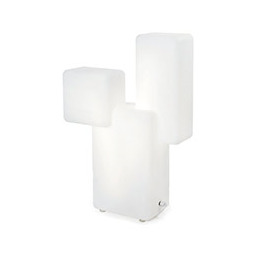 INNOSOL Kubo Bright Light is a stylish, multifunctional and award winning lamp which has been designed by recognized Finnish designer Eero Aarnio. The figurative form of three cubes of different sizes, clear geometric lines and playful design of Kubo create an enjoyable atmosphere and softly dispersed light. When used as a bright light therapy lamp KUBO provides 10,000 lux treatment or 2,500 lux at 46 cm. 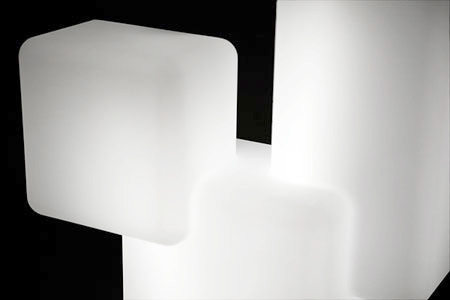 Kubo Bright Light`s size and shape means it is perfectly suitable as a floor or table lamp. Bulbs included. INNOSOL is the light therapy range from Innojok. Innojok is a pioneer in the research and development of medical bright light therapy lamps. 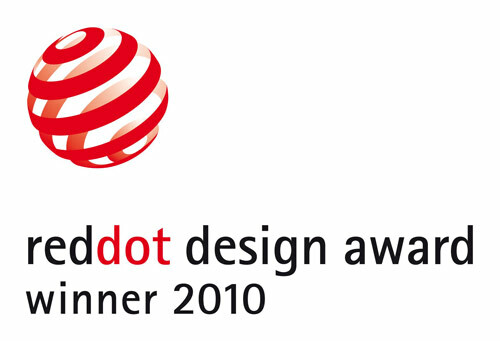 Since 1993 they have been using this research to develop award winning lighting and have been ranked several times as the most successful lighting manufacturer in Finland and in Europe. All INNOSOL bright light therapy devices are medically certified by Det Norske Veritas and come with a 2 year guarantee. Produces 10,000 lux of light. Suitable for both floor and table use. Dimmer switch means it can be used as both a light therapy lamp or conventional lamp. 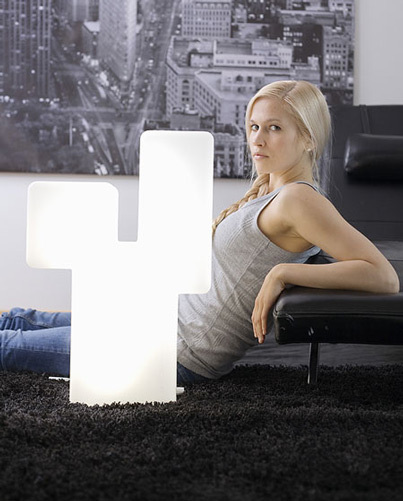 World class design results in a very aesthetically pleasing lamp. Eero Aarnio is one of the great innovators of modern furniture design with a successful career spanning over 45 years. He became very famous after the introduction of his 1960s hit classics, the fibreglass Ball and Pastil chairs, which are still in production today. The characteristics of Aarnio’s design are his playful and reduced shapes and forms and fresh colours. His designs also seek solutions that are economically sustainable from both the point of view of the product’s owners and production technology. In recent years, Aarnio has widened the scope of his creative productivity, designing trendy and new decorative interior objects, furniture, lighting and textiles every year. 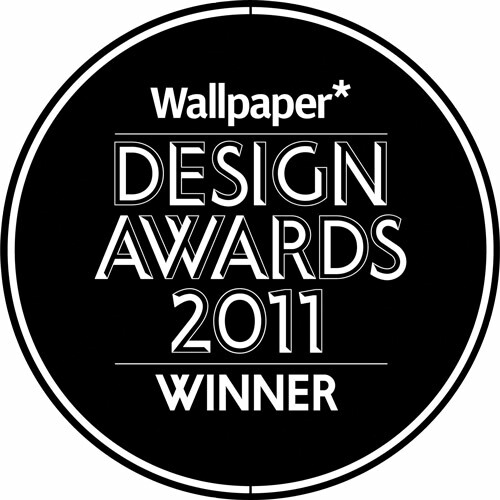 He has received international awards for his remarkable design work, including the International Design Award of the A.I.D. (American Institute of Interior Designers) for his Pastil Chair, New York 1968, The Finland Prize 2005, The Ministry of Education, Finland, The Compasso d’Oro Design award for the Trioli chair, Italy 2008. Many of Aarnio’s works are included in the world’s most prestigious museums, including the Victoria and Albert Museum in London, the MoMA in New York and the Vitra Design Museum in Weil am Rhein. Below are reviews of INNOSOL Kubo Bright Light - Award Winning SAD Lamp by bodykind customers. If you have tried this product we'd love to hear what you think so please leave a review. 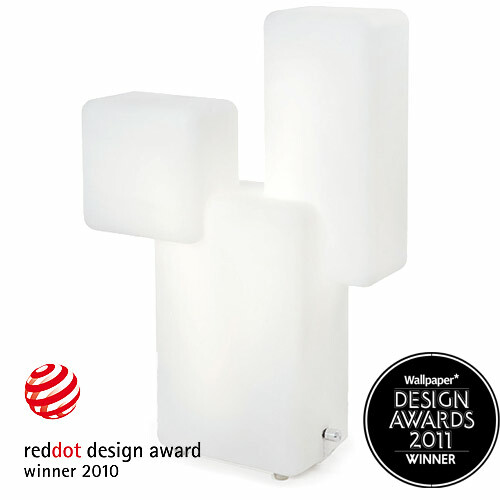 INNOSOL Kubo Bright Light is a stylish, multifunctional and award winning lamp which has been designed by recognized Finnish designer Eero Aarnio. When used as a bright light therapy lamp KUBO provides 10,000 lux treatment or 2,500 lux at 46 cm.